NEXT Day Delivery! £10 off First Order! 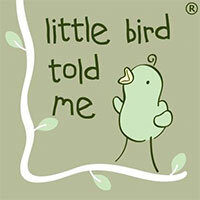 Regular Promotions & Great Deals on our fabulous range of Little Bird Told Me Rocking Horses. Visit Cuckooland and e-meet our Award Winning 5 Star Customer Service Team. These innovative rocking animals and horses have simple interactive features to encourage free play. The perfect Unique Gift for Small Children! Giddy-up cowboys and cowgirls, we are going to show all you cute prairie dogs just what it takes to become the fastest rider in the west! Saddle up to the Cuckooland ranch and take your pick of the best steeds this side of Weepawoo. Created by the clever clogs at Little Bird Told Me, our range of rocking horses are strong contenders for the most epic children’s gift of all time. Designed to appeal to that wonderful world of little people, as well as grown-ups, Little Bird Told Me are one of our favourite designers of kids toys and gifts. This uniquely designed range of traditionally-inspired children’s toys includes adorable infant rocking animals and horses. These noble steeds, lambs and dogs have been produced in an eco-friendly environment, making the perfect gift for babies or even a very special baby shower gift. Determined not to fall into the world of electronic toys, Little Bird Told Me wanted to create a beautiful range of simple toys that have the ability to capture a child's imagination and encourage explorative sensory play. With this in mind, each rocker features interactive additions for little explorers who love to learn through touch. Each rocker has patterns and textures designed to stimulate and encourage free-play and imagination exploration. Here at Cuckooland, we love children’s toys and games that promote creative play. What's more, the traditional toys make cute heirlooms to be passed down through the generations. You can be sure a rocker from Little Bird Told Me has been designed to last and be passed down from father to child. As the home of unique gifts, Cuckooland is always on the lookout for terrific toys, glorious gadgets and awesome accessories. Find everything you could ever need within our curiously creative lifestyle emporium.